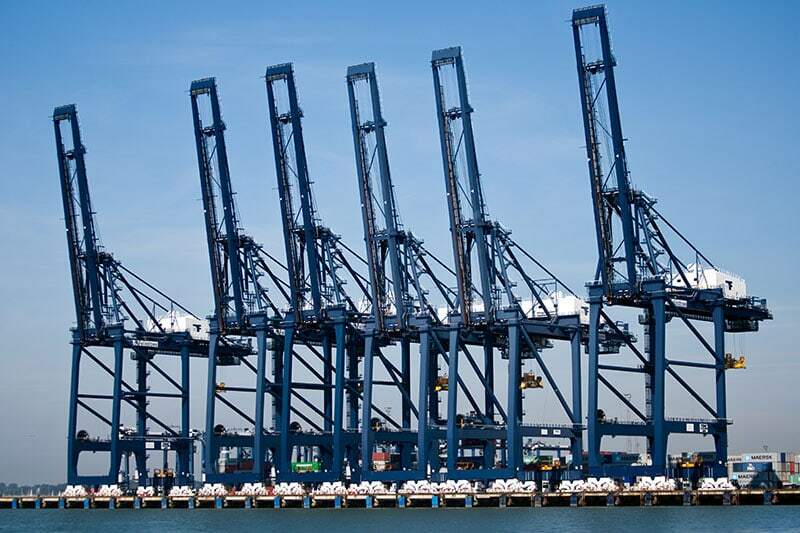 Essex and Suffolk Pest Solutions provides comprehensive pest control services in Felixstowe, a picturesque seaside resort which is also home to the largest container port in the UK. We offer a full range of commercial pest control services in the town, including the eradication of Stored Product Insects such as beetles, moths, mites and weevils, which often cause pest control problems in shipping warehouses. If your office, shop or restaurant has a problem with rats, mice, or has been infested with insects such as ants and cockroaches, then we are the people to call, as we can get rid of them quickly and effectively. We also offer a full range of domestic pest control services to homes in the Felixstowe area, and we carry out our work using unmarked vans. The town wasn’t originally called Felixstowe at all – it was part of neighbouring Walton. It wasn’t until the 13th Century that the resort had its own name. Initially it was just a remote hamlet, with a few homes scatted along the clifftops. Landguard Fort, which was built to protect the entrance to the port of Harwich, across the other side of the River Orwell, was added to the town’s landscape in the late 16th Century. It wasn’t until the late 19th century that the town’s population really began to rise. This is partly down to its increasing popularity as a holiday destination, the construction of a new railway line to Ipswich, and the port, which was founded by an Act of Parliament in 1875. Felixstowe now dwarfs Walton (which is today part of the Felixstowe parish) and currently has a population of more than 23,000. The resort has its own pier, which was rebuilt in 2017, plus an amusement park and a leisure centre. Most of the bigger shopping chains have outlets on Hamilton Road, but it you want to buy something different try the smaller, independent stores in Walton and Old Felixstowe. The Port of Felixstowe is now the biggest and busiest container port in the UK. It handles more than 4million container units every year, and around 3,000 ships berth there annually. Goods then travel via the A14 or by rail to all parts of the country. The port, which employs a total of around 3,000 people, also has its own police, fire and ambulance services to deal with any emergencies. You can rely on Essex and Suffolk Pest Solutions for a speedy, effective response to your pest control problem in Felixstowe. We also operate in other towns and villages around the area, including Ipswich, Harwich, Woodbridge and Trimley. We will visit your premises as many times as we have to as we want to make sure your problem has been dealt with effectively. If a shipping container is opened for unloading at a warehouse in Felixstowe and found to be contaminated with insects, then we can vent and fumigate it using phosphine gas under strictly controlled conditions to make sure the goods inside are protected. We also fumigate containers bound for export, in line with the legislative requirements of the country the goods are being shipped to. Food businesses often have problems with nuisance birds, which we can keep under control with spikes or netting. Our services are available on either a contract or one-off basis, and our work is all carried out in line with the latest health and safety legislation. We also operate in towns and villages across Suffolk and Essex, including Woodbridge, Ipswich, Stowmarket, Chelmsford and Colchester. If you would like to learn more, follow the link above or call us on either 07979 301334 or 01473 328092.